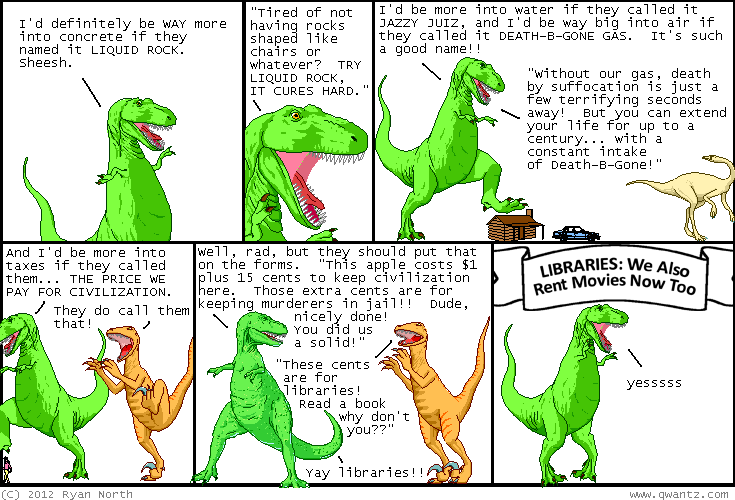 Dinosaur Comics - July 9th, 2012 - awesome fun times! –I thought we had a thing going! July 9th, 2012: Keep the end of the month OPEN because on July 25th Meredith Gran and myself are doing an Adventure Time signing! Here is a Facebook Event if you are on Facebook and want it to know where you're going just because it worries about you sometimes! One year ago today: today in orlando joey comeau and i ate at ihop and shot machine guns and had naps and went bowling. it was a 100% american day!